The weather was hot and the golf courses first-rate as DSG participated in a media travel trip to upstate Michigan. We started out at the Gailes and Blackshire courses at Lakewood Shores Resort. 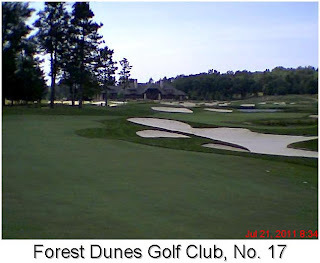 From there, it was on to Roscommon and Forest Dunes Golf Club, a Tom Weiskopf design. The trip ended at Garland Resort & Spa, where we played two of its four courses. In days to come, we'll do detailed blogs on each location. Also, there will be an overall feature piece running on The News-Herald's Travel page on Aug. 14.